Music lessons offer educational opportunities that reach far beyond simply playing an instrument. Recent research links music to higher brain functions and test scoring. Learning to play an instrument also teaches discipline, use of imagination, and confidence in front of one's peers. I provide a relaxed and encouraging environment for you to learn that is also direct, and goal-oriented. I use years of professional experience and advanced education to guide students how to play the piano and develop a love and passion for music and art. I am a member of the Jazz Education Network (JEN), the Music Teachers National Association (MTNA), and the Austin District Music Teachers Association (ADMTA), and the American Society of Composers, Authors, and Publishers (ASCAP). - I have received numerous honors and awards for teaching, most recently including both the Thumbtack Best of 2015 & 2016 Awards. Thumbtack recognized my reviews and credentials as being the #1 rated and recommended in the city of Austin and surrounding areas out of 100+ eligible recipients. - In my studio, I currently teach many adults who have either retired or are still part of the workforce. Today more and more adults are taking piano lessons for a multitude of reasons. I work with students with many backgrounds and goals, including beginners and those not interested in public performance or competition. The primary requirement for is a love of music and dedication to regular long-term practice. I accept students of any age at all performance levels, from beginners to those with professional performance in mind. - I adore children, and I have the patience, experience and knowledge required to breakdown ideas, concepts and techniques so that each are understood by your child in a way that best suits their learning style and ability. - You must have an instrument to practice on in order to take piano lessons. Either of the following instruments will do: (1) a well-maintained acoustic piano (2) an 88-key digital keyboard having touch sensitivity and a weighted action. Eventually, after a year or so, an acoustic piano will be the most beneficial instrument for the student. 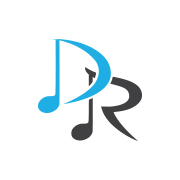 - For your convenience, Dan Redner Music will purchase your music and any other materials (flashcards, metronome, etc. ), and later be reimbursed by you. You will be notified in writing (via email) of the balance due, on your behalf, when your next lesson payment is due (beginning of each month). - All students are required to bring an “Assignment Book." It serves as a complete record of everything that the student and teacher have covered and discussed together. - Consistent practice is what produces results. Students are expected to practice daily. A six-to-seven day practice week is ideal, as five days per week is not as good, but still realistic. Practicing less than five days a week means you may have to adjust your musical goals and/or your expectations and possibly reassess the reason(s) why you’ve decided to take piano lessons. - Beginning students can practice as little as ten minutes a day and still complete their assignment by the next lesson. The more advanced a student becomes, the more time he or she should devote to practicing. - Most young children (3 to 7 years of age) typically meet for a 30 minute lesson with older children and adults transitioning to 45 or 60 minute lessons. The decision between a 45 and 60 minute lesson comes down to your scheduling and budget. We can get more accomplished with a 60 minute lesson, but 45 minutes is certainly adequate to thoroughly cover what is necessary each week. It is possible to adjust the length of your lesson at a later time. - Like most private studios, payment is required at the beginning of each month for the lessons in the month to follow. The payment is based upon 4 lessons per month. In the case there are 5 lessons in a month (i.e. 5 Tuesdays in a calendar month), the 5th lesson is free or will be used as a rare week off. Advanced notice will be given either way. Payment may be made via any one or combination of the following: Check, Cash, PayPal, or Credit/Debit. If you choose the Credit/Debit option, an extra $5 is due to cover the convenience fee that is charged. If you use PayPal, please choose the "send money to friend or family" option by using the danrednermusic@gmail.com email address as the ID. Please use the contact page or email me at danrednermusic@gmail.com if you would like pricing details. - Circumstances do arise when a student and/or their parent need to cancel their lesson. If you give notice of at least 24+ hours from the date and time of your lesson, an attempt will be made to schedule a make up lesson the same week if possible, or you will simply receive a credit for a lesson the following month. If you cancel within 24 hours of your lesson, you will be charged as if you attended the lesson. In the rare case I need to cancel a lesson, you will receive a credit for a lesson the following month. - If you arrive late to your scheduled lesson, there is no guarantee the time will be made up to you. For example... If your lesson is scheduled from 4:00pm to 4:45pm but you arrive at 4:08pm, your lesson will still end as scheduled at 4:45pm. Payment is expected in full although your lesson may only be 37 minutes in length. - Parents are always welcome, regularly or periodically, to observe their child’s lesson. Please note that they should simply observe the lesson, as to not be disruptive to the lesson environment. Siblings are welcome with the same expectations. - Great idea... as long as you supply your own recording device (iphone, ipad, laptop, etc.). When you listen to the recording, you’ll be surprised to hear points that were covered at the lesson but may have been forgotten. - If you prefer to collect your thoughts and express yourself in written form, you may also contact me by e-mail, which I check routinely throughout the day. My address is: danrednermusic@gmail.com. - One of the most important aspects of studying any instrument is to simply perform. It provides an opportunity for family and friends to see the progress in a student and additionally can provide an extra push or motivation for a student to achieve a larger goal. Additionally, the recital provides an opportunity for students and families to become attentive audience members! They can learn the ins & outs of performing, as well as learn to respect others during their performances on stage. It is asked that the youngest students through those in high school participate. All adult students are invited and welcomed to perform, but they should not feel any obligation to participate. - Date: mid-May of each year, typically on a Sunday. - It is asked that all students and guests arrive 15 minutes early.. There is plenty of parking available. All family & friends are welcome! Take pictures… shoot video! There are refreshments and light food/deserts, etc. afterward, and all guests are invited to stick around for the reception! 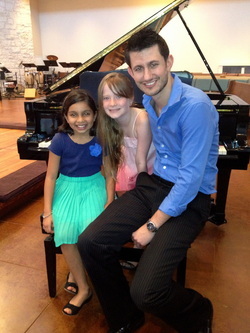 Dan Redner Music does NOT charge additional recital fees as most teaching studios regularly do. It should always be a teacher's responsibility to provide that opportunity for everyone, and I'm happy to do so. - I teach out of my home studio located in SW Austin. I am conveniently located only seconds off of Mopac (& Davis Ln). Loop 360, Hwy 71, & Hwy 290 are only minutes away. I use my beautiful Yamaha G1 5'3" baby grand piano for instruction.